Brent Street is a registered training organisation (RTO #91488) which offers a well-respected training ground for those after a career in the performing arts industry. Delivering the best performing arts tuition in Australia for nearly 30 years. Aims: Designed for students either with a background in singing, dancing and acting or who excel in one or two performance areas and wish to refine their skill sets in the others and extend their musical theatre performance skills to a professional level. Subjects: Classical Ballet, Theatre Jazz, Hip Hop, Tap, Dance Audition Techniques, Safe Dance Practice, Musical Theatre History, Vocal Technique, Audition Repertoire and Masterclass, Harmony and Score Reading, Music Theory, Theatrical Make-Up and Hairstyles, Nutrition, Anatomy, Body Conditioning, Career Planning – self-promotion, networking, marketing, budgeting (includes 20 hours of volunteer work placement), Various guest lectures/ masterclasses/ industry forums. Performance opportunities: 2 musical productions; 1 self-devised cabaret; End of year industry showcase. Aims: An intensive course based around the “Triple Threat” performer ideals and is Brent Street’s signature performing arts training program. Subjects: Classical Ballet, Jazz, Hip Hop, Acrobatics, Tap, Commercial Lyrical, Pas de Deux, Urban Contemporary and Classical Contemporary, Acting, Singing, Performance Skills (and opportunities), Safe Dance Practice, Repertoire, Floor Barre, Theatrical Make-Up and Hairstyles, Career Progression including audition and casting preparation, Mentoring and how to prepare to be a freelance artist, Nutrition, Anatomy, Body Conditioning, Cultural Dance History and Theory. Performance opportunities: Numerous competitions; Corporate events; End of year industry showcase. Subjects: Classical Ballet, Commercial and Urban Contemporary, Classical Contemporary, Jazz, Lyrical, Pas de Deux, Hip Hop, Acrobatics, Commercial Lyrical, Contact and Improvisation, Choreography, Career Progression including audition and casting preparation, Mentoring, Nutrition, Anatomy, Body Conditioning, Performance skills and opportunities, Film, Repertoire, Floor Barre, Acting, Safe Dance Practice, Cultural Dance, History and Theory, Various industry workshops/ masterclasses/ forums. Aims: Equip you with the skills to work in a range of dance teaching contexts in both large organisations and private dance studios. 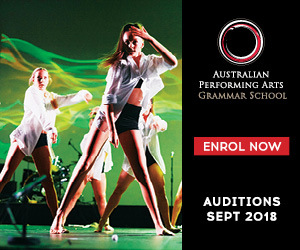 Subjects: Choreographing and teaching dance routines, Practical teaching opportunities, Classroom Management techniques, Planning, staging and organising performances, Developing Programs, Lesson Plans and Assessments, Business skills and studio management, Developing Student/Parent Liaison skills and Nutrition and Anatomy. Time: School Years 9, 10, 11, and 12. Aims: This intense training program has seen our graduates work continuously in the commercial dance industry, major musicals in Australia, the West End and Broadway, feature films, tv presenting, recording artist world tours, tv roles and in choreography. Graduates have also gone on to become So You Think You Can Dance winners, Julliard scholarship recipients, physiotherapists and lawyers. 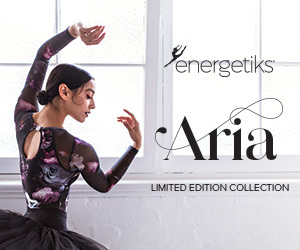 Subjects: Classical Ballet, Commercial and Theatre Jazz, Hip Hop, Tap, Commercial Lyrical, Urban Contemporary and Classical Contemporary, Acting, Singing, Performance Skills (and opportunities), Physical Conditioning. All academic studies are through Cairns School of Distant Education (CSDE). In addition to your CSDE Contact Teacher, an Academic Supervisor is in attendance daily to oversee the student completing their studies. Performance opportunities: Numerous competitions; End of year industry showcase. Rob Rich (LA), Maleek Washington (NYC), Lisa Callingham, Darren Mapes, Lynsey Waugh, Lucas Newland, Cassie Bartho, Mitchell Woodcock, Matt lee, Rani Luther, Stephen Tannos, Paris Cavanagh, Matt Gode, Ryan Gonzalez, Chris Tsattalios, Bec Morris, Sophie Holloway, Robbie Kmentoni, Danielle Kyneur, Cameron Mitchell, Ellen Simpson, Bev Kennedy, Darren Yap, Jennifer Peers, Suzanne Steele, Cooper Terry, Max Trengrove, Sela Vai, Blake Wood, Linda Nagle, Matt Ogle, Stephen Perez, Catrina Ralph, Mitchel Rayner, Alice Robinson, Nisrine Amine, Talia Fowler, Shannon Hanrahan, Gaynor Hicks, Kyle McKenna, Dave McLean, Jake Murray, Mark Hill, Matt Antonucci, Neven Connolly, Samantha Dodemaide, Lauren Elton, Kino McHugh, Leanne Carey, Omer Blackley-Astrachan, Natalie Ayton, Joel Thomas, Dean Walsh, Jessica Hesketh, Jazz Luna, Vi Lam, Luke Mercado – Frace, Lucy Doherty, Naomi Hibberd, Ben Zammit, Adam Blanch, Kristina Chan, Bec Jones, James Taylor and multiple Australian and International guests. Main Round Audition – September 22, 2018 located at Dance Tech Studios, 8A Hutchinson St, Burleigh Heads Qld 4220. Brent Street - Building 101.